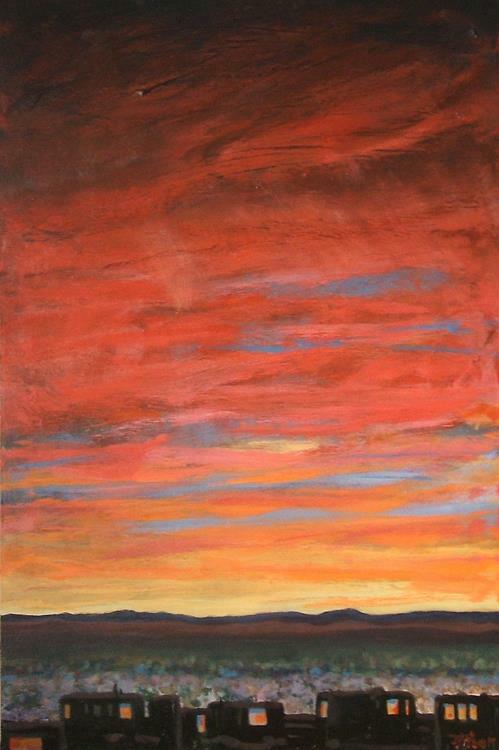 Jeff Tabor’s painting was selected to be on the cover of Discovery Map Santa Fe and Vicinity. I am honored to be the cover artist for 2012. The painting is entitled, “Tierra Contenta, or Happy Land”, 36″ x 24″. The map comes out in late January or February. Giclee prints, 36″ x 24″ are available for $800 each. Smaller prints available for $250. Drop by to get your copy of the map! Call the gallery to order prints. 505-603-4485.